I have been reading blogs for years, actually when I come to think of it I cannot tell you the amount of hours I would spend reading blog post after blog post. I guess it's a good thing that I have started my own little blog. There's just something about reading other people's life and getting a glimpse into their lives that I find quite fascinating. I also love a little venture onto You tube for some kind of hack or tip about makeup or anything beauty related to be honest. I must say since entering the wonderful world of blogging I have become so inspired by so many different bloggers who write about family lifestyle, fashion and of course beauty. 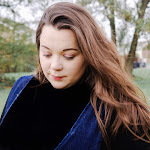 And so seeing as so many inspire me and I am always wanting to share their wonderful posts, I want to share a couple of bloggers that adore and ones you should go and see too. This was one of the very first blogs that got me obsessed with the blogging world. I read her whole archive in a month or so. If you don't know who Zoella is then where have you been? This lady has literally taken the online world by storm and can do no wrong. Zoe is a great success, she has her own line of beauty products and even published her own book which has become a best-seller Girl online! A beauty blog. Corrie had been blogging for years and blogs about almost anything from her life, beauty, fashion, and her beloved labradoodle Frankie! I love how she comes across in her blogs it feels so genuine and friendly. I also watch her youtube channel where she shows regular hauls and gives great advice about beauty. I have major hair envy though, she has the best hair. Please take some time to check her out! Jordan Bone is a beauty blogger from Norfolk. But she is not just a beauty blogger she is such an inspirational woman as 10 years ago after a car accident she left a tetraplegic, where she lost all movement in her limbs. But this has not stopped her from making her way in the world and her determination to encourage young people to not only drive safely but to consider all the choices they make through her road safety campaigns. Recently she has become a internet sensation with her video #MyBeautifulStruggle which was in response to some hurtful comments made on her blog and YouTube channel about her hands. I love her blog and her make up tutorials are amazing I have learned so much from watching them and even bought products because of her reviews! I came across Hannah's blog by researching about how I can to rid of my pregnancy tummy. It is still with me now but I am feeling good. Hannah's blog focuses on her life, parenting, fitness, food and she has a real love for making lists. Not so long ago she launched a Mums' days fit club and I think that this is great it has helped me no end I feel so much fitter and more determined because her videos. They are so easy to do and you can fit them into your daily life but involve the children. Hannah comes across so well and is so positive about everything she posts. Emma Conway writes some amazing blog posts that are brutally honest and so funny, I love them so much because I can relate to her. This blog focuses on parenting but all the high the lows and the what real parenting is all about not this picture perfect idea. I love her linky party #WickedWednesday where parents can link up their most realistic or funny photos. I laugh all the time reading her blog so please take a peek. Share the blog love and check these lovely ladies out! 4 comments on "Blogs That I am Loving Right Now ♥"